ShoutOut, an organisation of volunteers which tackles homophobia and transphobia against students in Irish schools, has launched a new video campaign. Videos 12 November, 2018 . Written by Brian Dillon. ShoutOut is Ireland’s only charity organisation which delivers educational workshops on tackling transphobic and homophobic bullying to schools all over the country, and they have just released a new video highlighting the dangers surrounding the lack of LGBT+ awareness in Irish secondary schools. 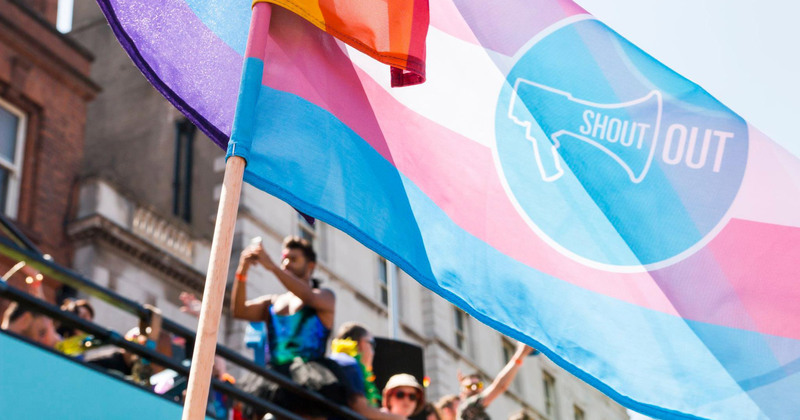 The video features volunteers from the ShoutOut executive team recounting their experiences of being LGBT+ while going through secondary school, highlighting the lack of formal education on queer topics such as sexuality and gender identity. The 2016 LGBT Ireland Report, which detailed the findings of a national study of the mental health and well-being of lesbian, gay, bisexual, transgender and intersex (LGBTI) people in Ireland, with a special emphasis on young people, found that LGBT+ young people are four times more likely to suffer from depression and three times more likely to attempt suicide. ShoutOut believes that the silence around LGBT+ identities and issues is at the root of this. Fitzpatrick added, “Young people need role models but unfortunately, there is little in our curriculum to show happy well adjusted LGBT people. So in the silence young people fill in the gaps themselves through the internet which doesn’t always have positive messages for LGBT youth. If you would like to help ShoutOut with their amazing work, you can donate here. 12 November, 2018 . Written by Brian Dillon.